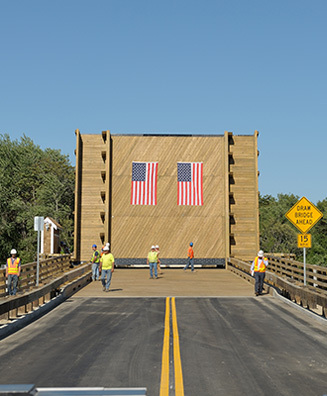 SPS New England was awarded the American Council of Engineering Companies (ACEC) 2017 Silver Award, for the recently-completed replacement of the historic Mitchell River Wooden Drawbridge in Chatham, Massachusetts. The SPS team is honored to be recognized for our work on this historic bridge. For more information, view this project.